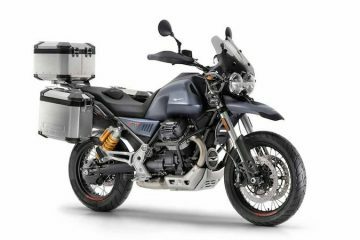 Moto Guzzi today revealed the price of its new retro-inspired V85 TT adventure bike, which goes on sale in March. Single colour models will cost £10,899 on the road, with dual colour options retailing at £11,099. 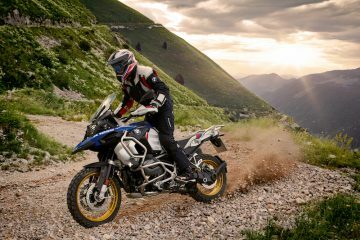 The Italian manufacturer describes its first adventure bike offering since the demise of the Stelvio as a ‘classic travel enduro’. We take that to mean it’s a classy adventure tourer capable of taking on light off-road work. Moto Guzzi’s choice of wheel size seems to back up this assessment, with a 19-inch front and 17-inch rear spoked set up. 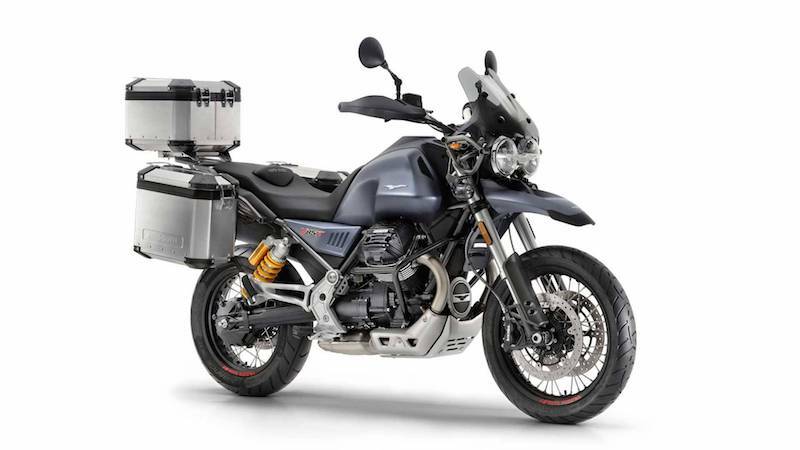 The 21-litre fuel tank should take you around 250 miles between fill-ups, although the brand new 853cc air-cooled engine, knocking out 80 horse power, will likely see you lagging behind the other mid-sized adventure bikes on the market when the pace picks up. Comparing the speed and power of the V85 TT to the competition could well be missing the point though. This is a motorcycle to be seen on, whether you’re parked up outside a biker cafe, or making a run up the glorious, unpaved Stella Alpina. The V85 TT’s looks have divided opinion in the ABR office. Some think the retro-styling oozes cool and will appeal to the style-conscious rider in a way a BMW GS never could. Others think this ironic, because the V85 TT looks a lot like an old GS. Whatever your view, chances are riders looking longingly at the new Triumph Scrambler, but who want a bike better suited to longer distances, may well have their heads turned. Hard luggage options will be available boosting the bike’s touring credentials. Despite the classic styling, the V85 TT comes crammed with enough tech to keep the iPhone generation happy, including a TFT display, bluetooth integration, electronic riding modes and cruise control. 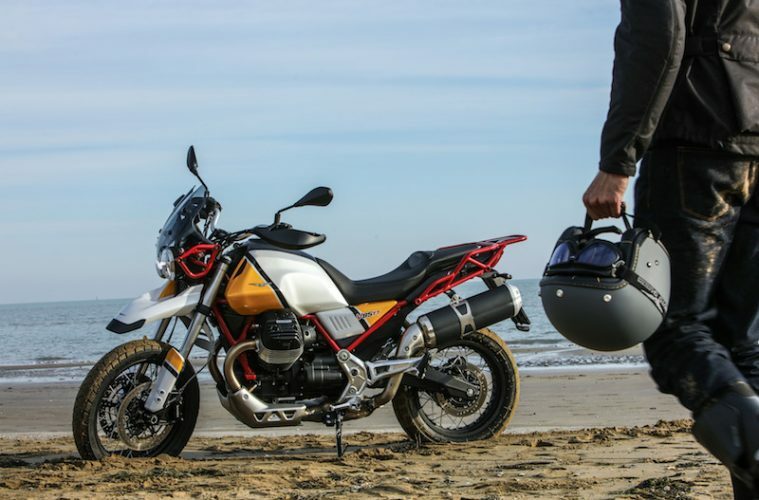 At 229kg wet, the new Guzzi isn’t light but a seat height of 830mm should allow most riders to plant their feet on the floor, helping with confidence in the dirt. We’re expecting the V85 TT to be previewed to the motorcycle press in the coming weeks. We’ll let you know how it rides as soon as we can. When James isn’t riding motorbikes, he can usually be found reading or writing about them. 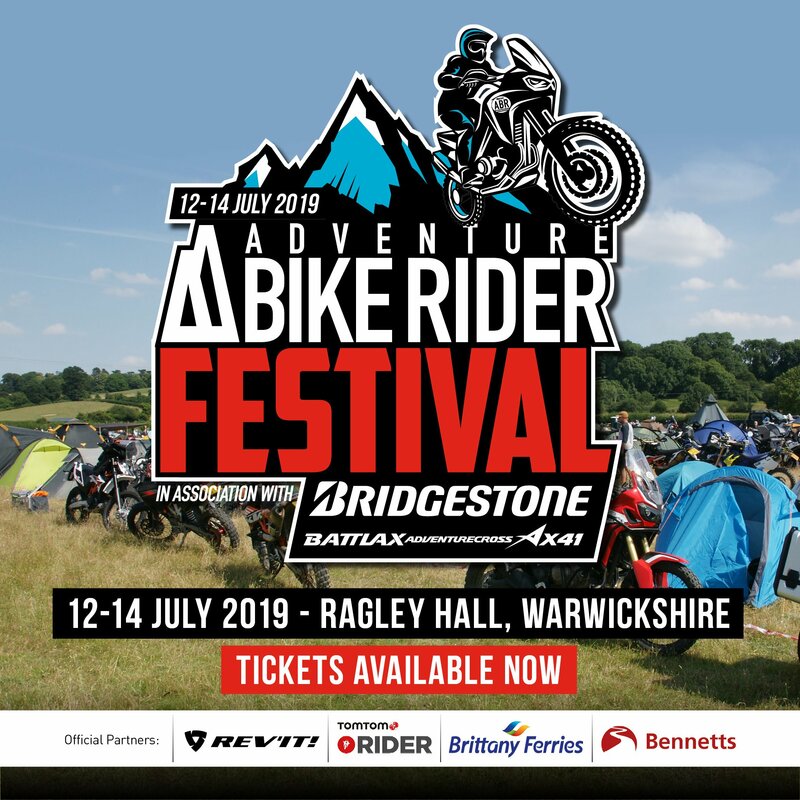 Having explored much of Europe and most recently Thailand on two wheels, he’s now got his sights set on exploring more of the world by motorcycle.